The radio broadcast for all home matches will be provided by 550 AM KTRS. The pregame show will begin 90 minutes prior to kickoff. The postgame show will begin immediately after the match ends. The radio broadcast is also available online at ktrs.com. To watch the game, all USL Championship matches can be streamed on ESPN+. Fans unable to attend the match can follow live updates on Twitter via @SaintLouisFC. All Saint Louis FC games are played rain or shine. In the event of severe weather, games can be delayed or postponed at the discretion of the referee. Should there be an immediate need to evacuate the stadium, guests will be given instructions via the public address system as well as from stadium staff. It is recommended that you familiarize yourself with the exits closest to your seats. The parking lots listed below will open at two hours prior to kickoff and are CASH ONLY. The Soccer Park offers a limited number of spots, so please consider carpooling and arriving early. If you need to get cash before entering the Soccer Park, there is an ATM at the Road Ranger gas station across the street. Soccer Park features two full-service concession stands, The Gateway Arch Soccer Park Grill, and several satellite points of sale to give fans a wide range of refreshment options. Concessions: The Soccer Park has a full-service concession stand at both ends of the west side bleachers. Items offered include: G&W Brats and Hot Dogs, burgers, chicken tenders, hot pretzels, popcorn, nachos, candy, and Coca-Cola products. Gate 4 Stand: Located at Gate 4, this food trailer features some of our players' favorites: Bundesliga Brat, Walking Tacos, Pretzel Bites, and Chicken Tenders. The Gateway Arch Soccer Park Grill: The Soccer Park Grill will be open to Soccer Park Club & VIP fans only. The Grill features concession items as well as expanded food and beverage items such as the Bicycle Kick Chicken Sandwich, "Oh What a Cracker!" Wrap, Messi Nachos, and much more. Schlafly Craft Corner: The Schlafly Craft Corner serves chips and has a variety of beverages available. G&W Sausage Concession Trailer: Located at the north side of the stadium by the Fan Zone, this stand features burgers, G&W Brats and Hot Dogs, popcorn and candy. Sweet Treats: Located near the Press Box, this station features delicious treats like Dippin Dots, ice cream, candy, and our world famous chocolate chip cookies. Gate 1 & 4 Stands: Grab one of your favorite beverages when you enter the stadium, featuring Coca-Cola products, Desani, and assorted bottled beers. Concessions: The Soccer Park has a full service concession stand on both ends of the west side bleachers. These stands offer a wide array of Coca-Cola, Budweiser products, as well as bottled and draft beers. The Gateway Arch Soccer Park Grill: The Gateway Arch Soccer Park Grill will be open to Soccer Park Club & VIP fans only. Patrons can enjoy a wide variety of Coca-Cola products as well as bottled and draft beers. Budweiser Biergarten: The coolest place to hang out at Soccer Park, the Budweiser Biergarten is located by the south concession stand behind Sections 6 & 7. The Biergarten features the finest Anheuser-Busch draft and bottled products. Schlafly Craft Corner: The Schlafly Craft Corner is located by the scoreboard and features a special variety of craft and imported beers. This stand also includes Coca-Cola products. Guinness Stand: Located at the Press Box, the Guinness stand will feature a variety of bottled beers, as well as Guinness, Smithwicks, Harp, and Guinness Blonde on draft. Northeast Concession Stand: Located at the east side stands by the flag poles, this stand features Coca-Cola products and a variety of bottled beers. The Blue Chip Fan Zone will be open 60 minutes prior to kickoff at the north end of the stadium field for every home match. The Fan Zone will officially close just before kick-off. You must enter the stadium to access the Blue Chip Fan Zone. 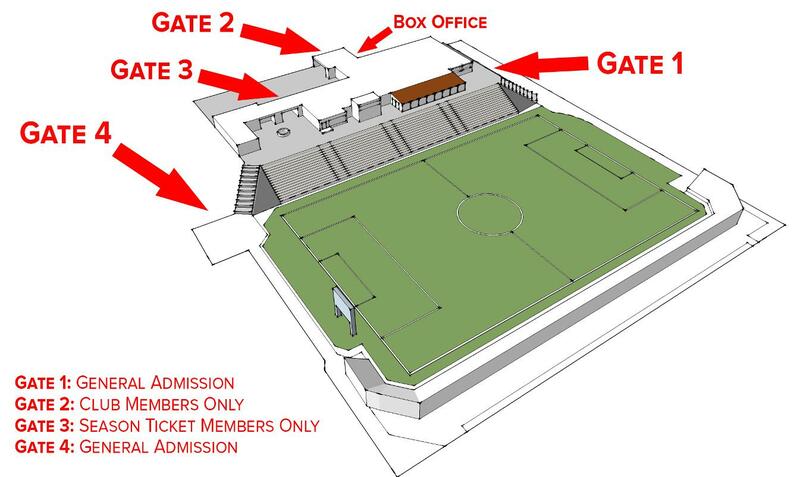 Fans can enter Toyota Stadium from the gates indicated below. Please note, there is NO re-entry allowed during the game. Tailgating will be available in the North End of the Soccer Park parking lot. Open flames and kegs are prohibited. Please note only one car per one parking space. No saving of parking spaces is allowed. Reminder that NO outside beverages/food are allowed in the stadium. Banners may be brought into the stadium and are encouraged provided they are not offensive, in poor taste, or commercial in nature. Banners may be draped or hung from the rail, as long as they do not obstruct the view of any guests, stadium signage or present any safety hazard. If affixed to a pole, the pole must be hollow PVC pipe and not exceed 3 feet in length. The Soccer Park reserves the right to remove any banner that is deemed in violation of the guidelines stated in this section. 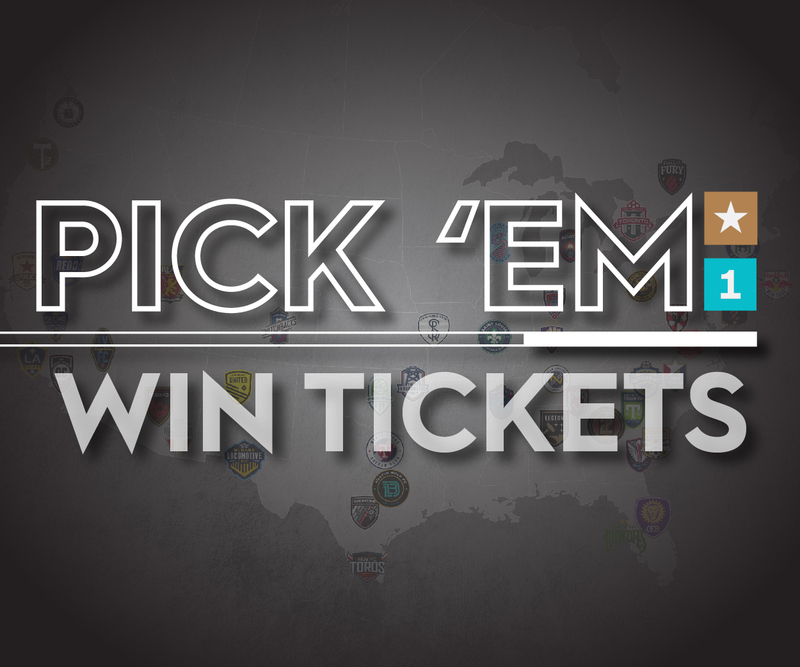 Will Call tickets may be picked up on the day of the event, at the window under the portico, facing the main entrance of the Soccer Park. You must provide photo identification in order to obtain tickets left in your name. Please remember to distribute tickets ahead of time for friends and family. Saint Louis FC cannot take tickets on behalf of fans for third parties at Will Call. To make sure that other Saint Louis FC fans don’t miss any of the action on the pitch, please refrain from walking across the walkways in front of the stands during play. Professional cameras or equipment are not allowed to be brought in to the venue unless user has the appropriate working media credential. Unauthorized filming, video or audio taping, photographs, records and all other depictions of Soccer Park and/or events are prohibited. Persons under 21 years of age are not permitted to purchase or consume alcoholic beverages. Soccer Park reserves the right to refuse service to anyone who is unable to produce an acceptable form of identification or who appears to be intoxicated. Soccer Park is dedicated to providing a safe and enjoyable experience for all of our guests. The sale, consumption, service and availability of alcohol may be restricted by the management of Soccer Park in its sole discretion and is subject to compliance with all applicable governmental statutes, ordinances and regulation. Within the Soccer Park, the sale of beer is limited to two per customer, per purchase. The sale of alcohol may be stopped by stadium management at any time during events. If you choose to drink, please do so responsibly. Fans are prohibited from entering the stadium with any type of alcoholic beverage in their possession. Lost or stolen tickets can be replaced only under certain circumstances. Please contact the Box Office (636) 680-0997 for replacement guidelines. Saint Louis FC will do its best to accommodate fans on a case-by-case basis. In accordance with current USL Best Practices for game day security, all fans may be subject to security inspection prior to entry into a Saint Louis FC game. The inspection will include a bag check and a physical inspection of all items brought inside the facility. Guest Services representatives are available to assist you with any questions, comments, or concerns during your visit to the Soccer Park. Restrooms are located throughout the Soccer Park.